Police arrest Vero Beach man who's accused of molesting two girls. VERO BEACH – A 55-year-old man was arrested Wednesday night after two girls say they were molested, according to the Indian River County Sheriff’s Office. 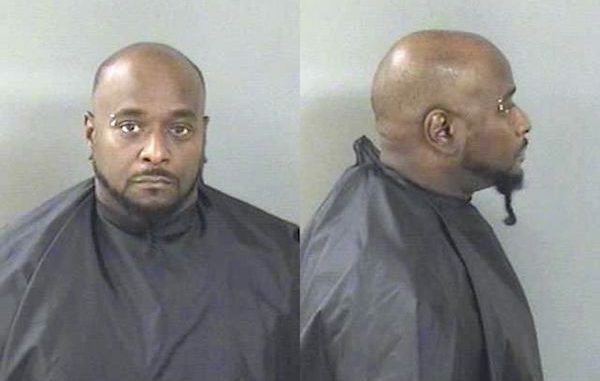 Anthony James Collier was arrested on charges of Lewd and Lascivious Molestation and is currently in the Indian River County Jail on $100,000 bond. The 11-year-old told investigators that she was touched on multiple occasions by Collier, the arrest affidavit said. She went into sexual details and said the abuse had been going on since last month, police said. A 15-year-old, who also witnessed the abuse of the 11-year-old, told deputies that she was also molested, the report said. The girl said she’s 26 weeks pregnant and claims that Collier is the father of the child, according to the report. The girl’s pregnancy was confirmed by the mother and verified medically, according to investigators. When the mother found out about the abuse and pregnancy, she confronted Collier in text messages. Collier stated that he was “not going to jail and they would have to shoot him first,” the arrest affidavit said. The 15-year-old girl said that Collier threatened to “kill her in the past if she ever told anyone about their relationship,” the affidavit said. Collier denied the allegations during an interview with investigators. He also requested an attorney. Collier’s hearing is scheduled for June 27, 2018.